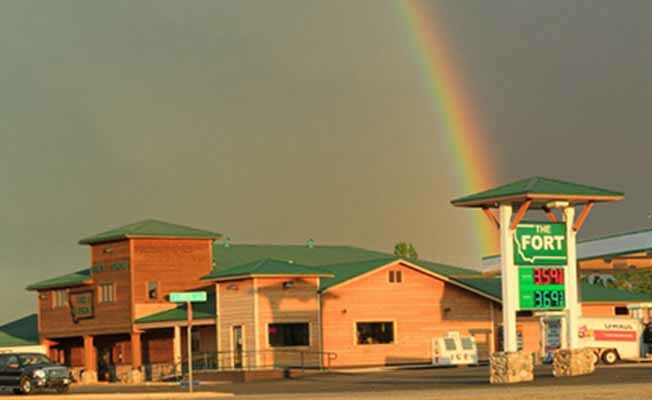 The Fort, nestled in the Yellowstone Valley, provides travelers, shoppers, and sporting enthusiasts with an array of products featuring Sinclair fuels, hunting and fishing licenses, guns, sporting accessories, groceries, fine wines and cold beer. The Fort also houses a Montana State Liquor Agency, a fresh deli and one of Montana's finest gift shops. We look forward to serving you with fast Montana friendly service. You will be glad you stopped at our most unique business.